For decades, far-off Pluto and its moons were just a collection of bright spots in even our most powerful telescopes. Now the dwarf planet and its family of five moons has been revealed in intimate detail with the long-awaited flyby of the New Horizons spacecraft. 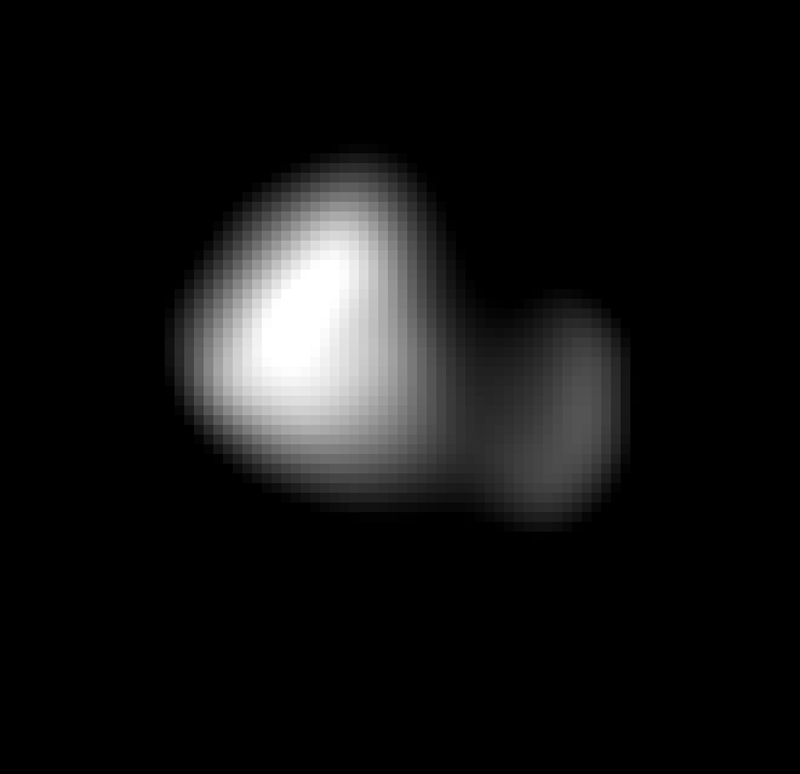 Last week the “family portrait” of the Pluto system was made complete when our best close-up arrived of Kerberos, a tiny 7-mile-wide moon that nobody even knew about until 2011. And surprise: it looks like a contact binary! Read the rest of my article on Discovery News: Space here. Next Post Pics Are In from Cassini’s Flyby Through Enceladus’ Plumes!